The US Federal Aviation Administration (FAA) said Friday that experts from nine civil aviation authorities had confirmed their participation in a panel to review the Boeing 737 Max flight control system. A direct air route was launched Thursday between Zhengzhou, capital of Central China's Henan province and Osaka, Japan's second-largest city. Boeing Company is making "steady progress" toward the certification of a software update for 737 MAX aircraft that have been grounded worldwide following two deadly air crashes in half a year, Boeing CEO Dennis Muilenburg said Wednesday. Etihad Airways, the national airline of the UAE, will be the first airline in the region to operate a flight without any single-use plastics on board, in a bid to raise awareness of the effects of plastic pollution. Flight EY484 will depart Abu Dhabi on 21 April, landing in Brisbane on 22 April - Earth Day. AVIAA, the expanding group purchasing organization for business aviation, is pleased to announce the signing of Brunswick Aviation Services as a new communications and IFE MRO supplier in the USA. The East Coast based FAA Part 145 certified business works across Gulfstream series; Bombardier Global family; BBJ and Dassault Falcon Jet aircraft platforms, providing IFE systems, alongside avionics modifications. Its speciality installations are on the increasingly popular Honeywell Jet ConneX JetWave TM offering, delivering 15 megabits per second of seamless connectivity over the ocean. 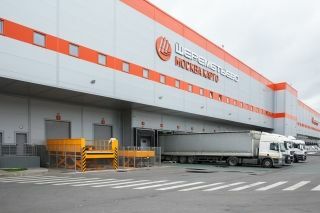 April 17, 2019 Sheremetyevo International Airport JSC and Moscow Cargo LLC, with the support of the Ministry of Industry and Trade of the Russian Federation, held a presentation of the cargo complex to their Chinese partners as a part of the strategy for development of Russian-Chinese cooperation in the field of air transport.